Why does a large proportion of the population engage in some form of gambling, although they know they are most likely to lose, and that the gambling industry makes huge profits? Do gamblers simply accept their losses as fate, or do they believe that they will be able to overcome the negative odds in some miraculous way? The paradox is complicated by the fact that those habitual gamblers who are most aware that systematic losses cannot be avoided, are the least likely to stop gambling. Detailed analyses of actual gambling behaviour have shown gamblers to be victims of a variety of cognitive illusions, which lead them to believe that the general statistical rules of determining the probability of loss do not apply to them as individuals. The designers of gambling games cleverly exploit these illusions in order to promote a false perception of the situation. Much of the earlier interest in gambling behaviour has been centred on the traditional theories of human decision-making, where decisions are portrayed as choices among bets. This led to a tradition of studying decision-making in experiments on betting. 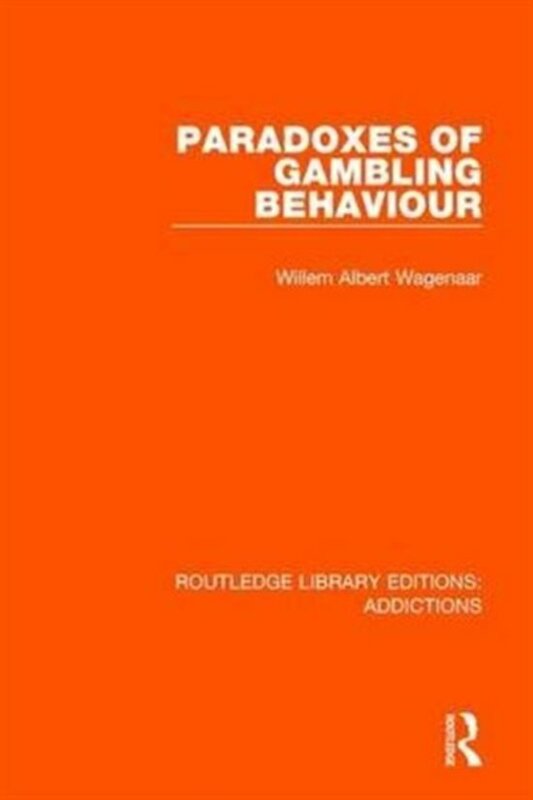 In this title, originally published in 1988, the author argues that betting behaviour should not be used as a typical example of human decision-making upon which a general psychological theory could be founded, and that these traditional views can in no way account for the gambling behaviour reported in this book.